We know virtual reality is already being used in the construction industry by companies like McCarthy who offer its clients the ability to make changes virtually for free well before a single brick is laid. It will be interesting to see how VR redevelops a normal office and how it will function in our daily lives. 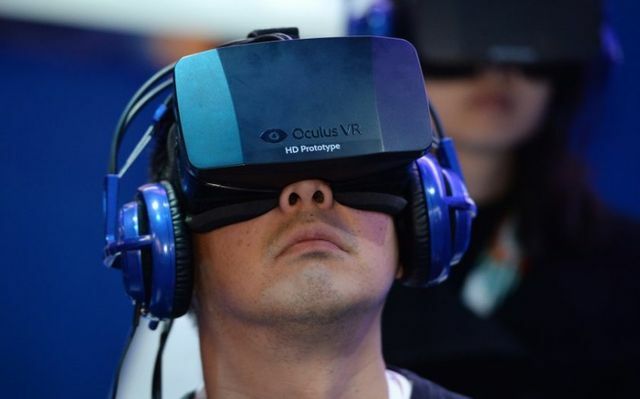 Like driverless cars, virtual reality has been a long time coming. With its origins in the sixteenth century, virtual reality (VR) techniques were once limited to theatrical trickery and the “girl-to-gorilla” variety illusions found in carnival sideshows. But with Oculus Rift on sale from March, the technology may finally be entering the mainstream. With psychiatrists at the University of Louisville using VR in cognitive behavioural therapy to treat patients with anxieties about public speaking or flying, its applications extend far beyond gaming and entertainment. Here’s how it will change things in the coming years. DATA VISUALISATION The potential to create 3D data visualisations, with physical and even kinaesthetic representations which can be touched and manipulated, is extremely exciting. Big changes to stock-market data visualisation, in particular, may be round the corner.